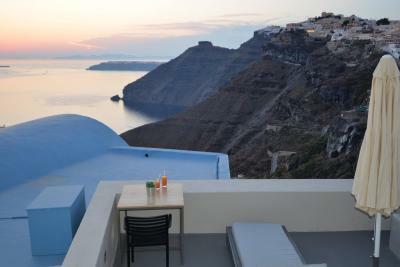 Lock in a great price for Aria Suites - rated 9.6 by recent guests. 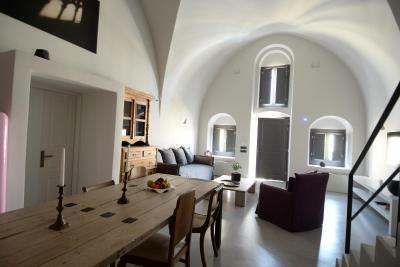 Beautiful suite in a beautiful location. Perfect for my husband and I and our 2 children (ages 7 & 10). 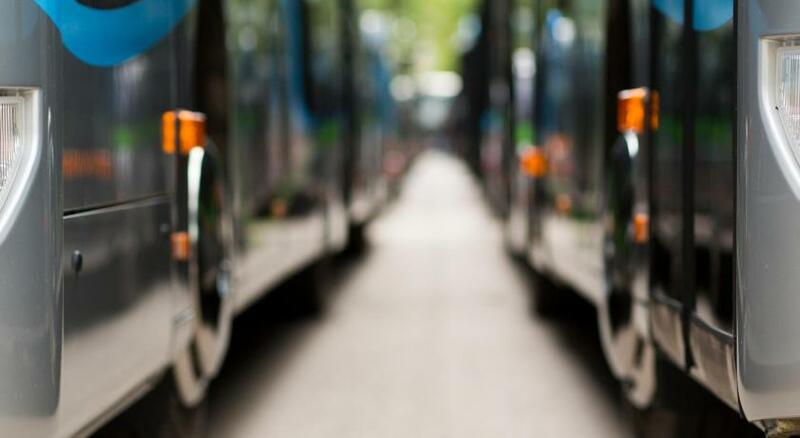 Lots of restaurants, shopping and other attractions very close by (3 - 5 minutes walking distance). Breakfast was delicious and served on our veranda every morning. All the staff were VERY kind and helpful. Can’t wait to visit again! We loved everything about these suites. The location could not be better. 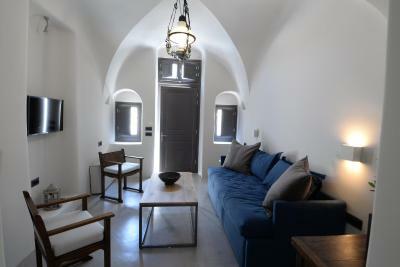 My wife and I stayed in the Aida suite, while our children had the Dolce Far Niente villa. The Caldera views were spectacular. Breakfast is served in in the suites at a pre arranged time, which was excellent. The staff was very friendly and helpful with recommendations for restaurants etc. Beautiful staff and stunning accommodation. The place was like a dream....we never wanted to leave! Excellent service! Receiption are very helpful! They can get mini van to pick up us any where any time we need . And we had delicious breakfast at our private patio with brilliant view every morning ! Fabulous quiet location with stunning views but only 2 minutes walk from everything you could need,restaurants,bars,shops and views! Staff were very friendly,informative and efficient. 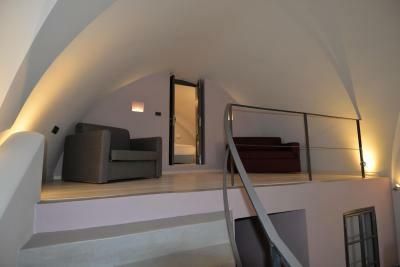 The suite were simple but beautiful. Pool area lovely,cannot fault it! Amazing location. Just around the corner from the main road but was nice not to be right in the middle of the busy streets. The staff were friendly, funny and wonderful. 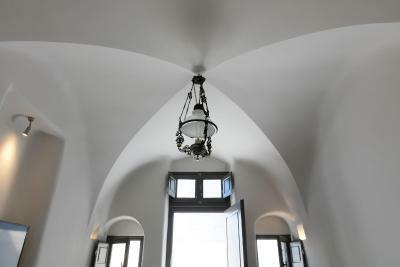 The room was gorgeous, breathtaking view but my personal favourite was the amazing breakfast - the best I have ever had! 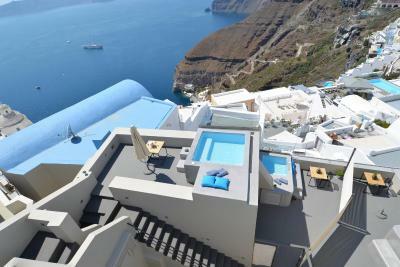 Amazing suites overlooking the caldera. Breakfast served on the terrace overlooking the pool and caldera. Breakfast was delicious - lots of choices! Rooms were spotlessly clean, beds really comfortable. Staff were super friendly and helpful! Fantastic! 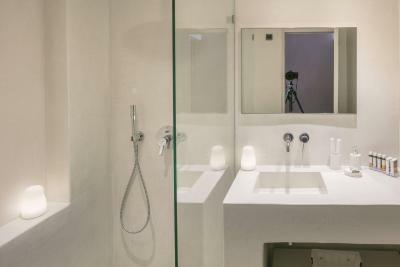 Bathroom was nice (especially shower) as well as the shampoos and cremes. 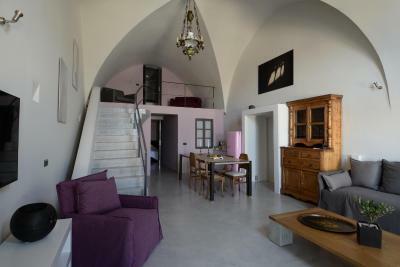 Spacious and lovely room and terrace. Staff was very pleasant and helpful. Breakfasts were good (not spectacular but better than average, all fresh ingredients). 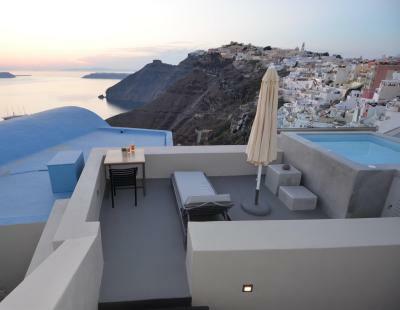 Aria Suites is an elite boutique hotel, providing guests a combination of private luxurious accommodation with central location, at Fira, in Santorini. 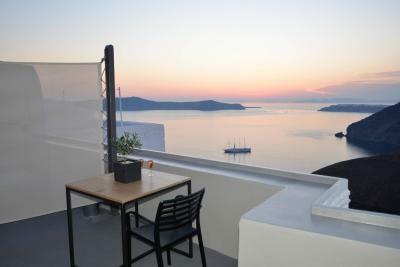 The six luxurious suites, situated on the Caldera, in a magnificent and quiet location, only steps from the nightlife, provide guests with simple yet exquisite Cycladic luxury. All suites are fully equipped with mini-bar, fridge, air condition, satellite TV, CD and DVD player, laptop, free wireless internet access, pool towels and natural bath amenities by Korres. 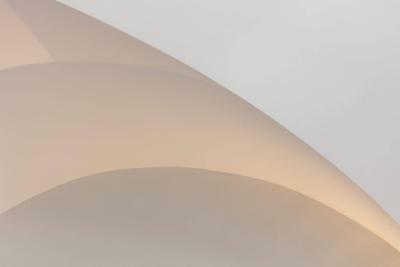 Aria Suites provide guests with 24 hour front desk service with concierge assistance. 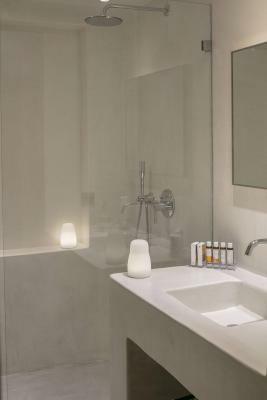 Massage and beauty treatments as well as special therapies or candlelit dinners can be arranged in the privacy of the suite, upon request. 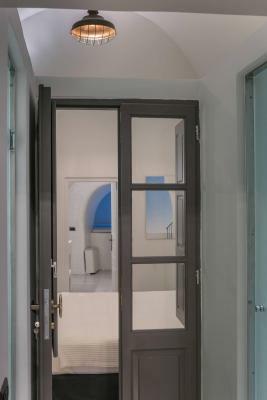 Aria Suites has been welcoming Booking.com guests since 3 Nov 2009. When would you like to stay at Aria Suites? 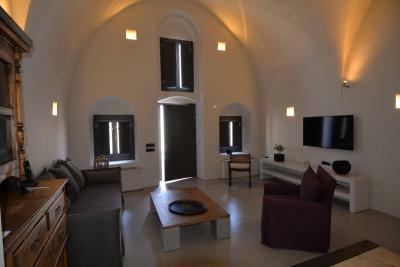 Tosca Suite has a spacious living room, private terrace with sea view and bathroom with shower. Beach bag with pool and beach towels is complimentary. 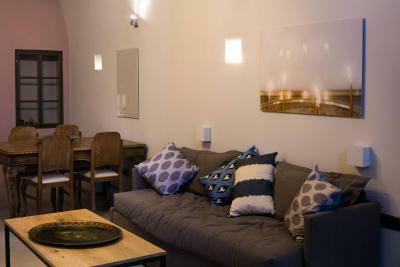 La Boheme has 2 bedrooms, spacious living room, private terrace with sea view and sun lounges and bathroom with shower. Beach bag with pool and beach towels is complimentary. Carmen Suite has 2 separate bedrooms, spacious living room, private terrace with sea view and sun lounges and bathroom with shower. Beach bag with pool and beach towels is complimentary. 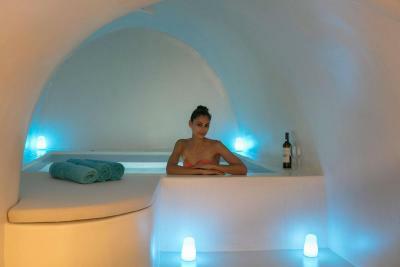 Aida Suite has a spacious living room, private terrace with sea view and bathroom with shower. Beach bag with pool and beach towels is complimentary. 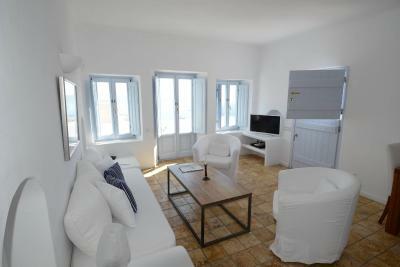 Norma Suite has 2 separate bedrooms, a spacious living room, private terrace with sea view and bathroom with shower. Beach bag with pool and beach towels is complimentary. 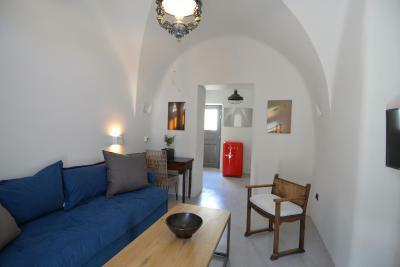 Rigoletto Suite has a spacious living room, private terrace with sea view and bathroom with shower. Beach bag with pool and beach towels is complimentary. 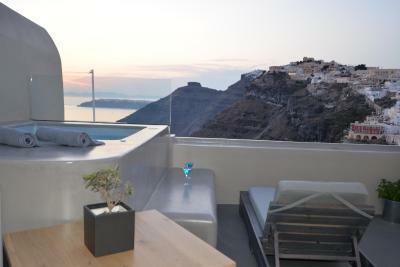 La Vida Breve is a 60 square meters villa perched on a cliff, in the heart of Fira and Caldera, less than 100 metres from the suites. 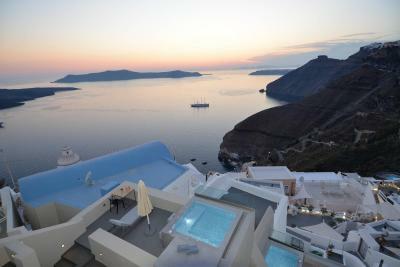 The location offers absolute privacy and a panoramic view of the volcano, the caldera and the Aegean sea. 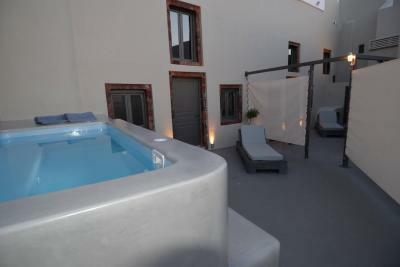 The villa offers a private hot tub on the balcony. 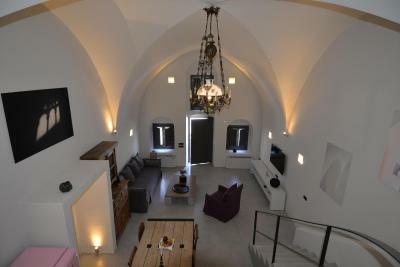 This Caldera view villa features a balcony, satellite TV and seating area. This Caldera view villa has a balcony, air conditioning and hot tub. 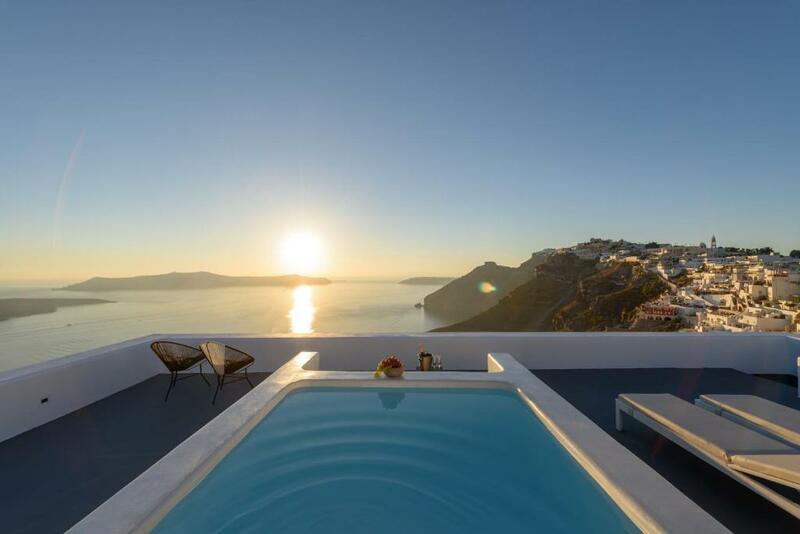 This Caldera view villa features a balcony, minibar and flat-screen TV. 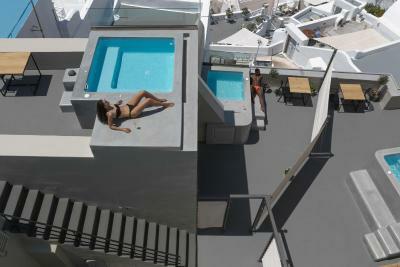 House rules Aria Suites takes special requests - add in the next step! Up to three children under 16 years are charged EUR 80 per night when using existing beds. Aria Suites accepts these cards and reserves the right to temporarily hold an amount prior to arrival. Please note that children below 14 years old that are accommodated at the units La Vida Breve, La Traviata, Dolce Far Niente and Fidelio Villa, have to be supervised at all times for safety reasons. Paul, Yiota, John and the ENTIRE team were marvellous!!! They all were so courteous, helpful and fun. Can not recommend them more highly. Awesome people. Super place. Great place to visit and stay. We liked everything! The property, the suite, the view, the service, the breakfast, the staff were all 5-star! The staff was outstanding! Yiota was the greatest. She made us feel so very welcome. She always took the time to chat with us and give us recommendations. She even gave me a Birthday present (I will hold dearly). Thank you for a dream-like vacation! We will return. The staff are wonderful and very helpful. The location is excellent. 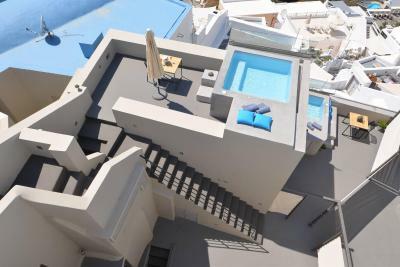 I would recommend Aria Suites to family travelling to Santorini. 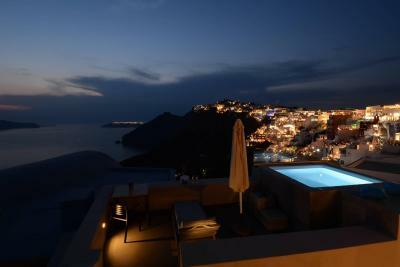 Bang in the middle of Fira, easy access to facilities coupled with gorgeous views of caldera. Super friendly staff. Breakfast in your own private terrace. 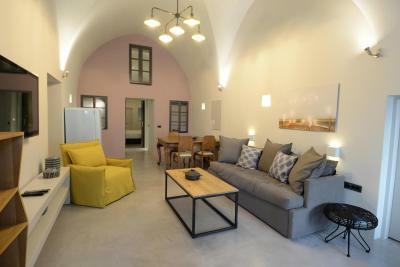 Fabulous location, charming staff and very comfortable bed. The hotel manager is amazing. 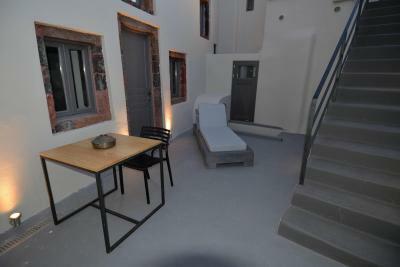 He is helpful and makes you feel very comfortable in order to make sure you have a nice stay at Santorini. Prob overpriced and size of pool and swimming hours (11am-7) not super friendly for kids.